I love the term "winging it." From The Urban Dictionary: to improvise with little preparation. As an artist, needleworker, painter, gardener, and decorator, I "wing it" all the time. I love the act of just beginning even though sometimes that is the hardest part. I remember when I was a teenager and an avid sewer and stitcher - I would finish a project and then feel at loose ends until I had decided what to make next. I still feel that way. If I don't have something creative going on with my hands, I get crabby and moody. I NEED to be making something - filling the time in the day when I would be bored without a project - watching tv, at the farmers market, or on a car trip when I am not driving. At this point in my creative year, I fill that time with Crewel Embroidery. At other times, I fill that time with knitting or some other kind of craft. When I design or paint, I am constantly winging it. I usually begin with a quick sketch and then just begin somewhere on the fabric or the canvas. I let the piece evolve as motifs build upon themselves. I am not fearful as I go - I find it liberating and exciting to see where each bit I add will take the piece. That is why I am really attracted to a new quilting book that has just been published by STC/Melanie Falick Crafts. 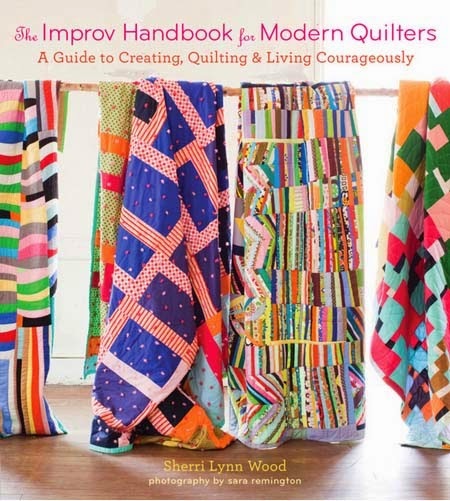 It is called The Improv Handbook for Modern Quilters: A Guide to Creating, Quilting and Living Courageously. It is written by California artist and quilter Sherri Lynn Wood. Sherri has been the recipient of the Joan Mitchell Foundation Grant and is a 2 time MacDowell Colony Fellow. Those are some impressive credentials. I couldn't wait to see what she would do with quilting. I am not in the Quilt World per se, but I do know about the rumblings about Traditional vs Modern quilter. I'm not sure why there is such a divide but whatever. I say "just do it." With any art, there is no right or wrong way and this is exactly what Sherri gives the quilter the tools to do in her new book. Sherri Lynn's gives "scores" (I would probably call them guidelines) to make TEN different styles of quilts. They include Floating Squares, Strings, Layered Curves, and more. Each score features a "hero quilt" and then several examples of other versions of the score. Over 250 quilters took part in this project and you can see many of the finished quilts that follow these concepts here. One of the more interesting and communal scores is called Round Robin. It is a project that you can make with many quilting friends in a day. By following Sherri's score, each quilter pieces small bits of someone else's quilt in 20 minute intervals. Each quilter has put together their own choices of fabric (Sherri suggests how much and types) and each quilter's box travels the room. It is a fun concept which would be a great summer project to do with friends. In the photos interspersed throughout this post, you can see many different Round Robin Quilts. Once you get past the scores (pp 22 to 104), this book is loaded with lots of helpful information for beginning designers and improv-ers. Pages 112 to 119 are all about COLOR. There are Patchworks Techniques on Pages 120 to 153. This Chapter is a real GEM - it includes instructions for Ruler Free Patchwork, Darting (I might call this Fixing Mistakes Easily! ), Patchwork Puzzles, Working with Curves and Wedges. The Improv Handbook for Modern Quilters is beautifully photographed and written. If you are a quilter or wannabe quilter, I hope you will search it out. I do not think you will be disappointed. Join the Improv Facebook Group here. 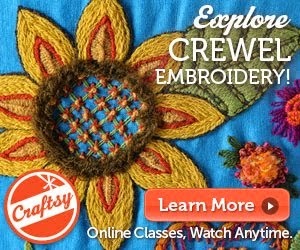 Listen to an interview with Sherri Lynn on Craft Sanity here. Tell me how you feel about winging it or improvising? Do you do it? Does it drive you crazy because you are a planner? This doesn't need to be about quilting or sewing or needlework. Open it up to other parts of your life - perhaps cooking or gardening or traveling. Can't wait to hear what you all say. US addresses only. Contest ends Friday May 29th at 11:59 p.m. As always, leave an easy way to get a hold of you - email, Rav id, blogger id. Good luck everyone! contest is over - the winner is Audrey at ArtandSoul. Thanks all for entering. I fall somewhere in the middle of sticking to a plan and winging it. I usually start with a plan or general idea and make changes along the way as the work proceeds. I'd say I'm more of a process artist and love the way work evolves as I add, take away, change. This looks like a great book! Thanks for sharing it with us and thanks for the giveaway. I would love to learn how to let go. I'm kind of a stickler for sticking to a plan! Depends on the topic. I am a total planner when it comes to knitting and quilter. However, when I am in the garden, I wing it. Planting seeds 1 inch down or a 1/4 inch down...wing it. Rows of veggies 6-12 inches apart...wing it. Traveling - planner in terms of an outline and then I am open to winging it when on the trip. I would really like to win this book. Thanks! I am generally a pattern-follower, but would love to learn to loosen up a bit and improvise more. It would be fun to not know the end result until it happens, and this book looks like just the way to do that. I usually improvise on the fly - and often conclude with something that is far more interesting. As an artist I have to endorse winging it. As a designer I like to start with a plan but the plan has to be flexible—adjusting to the tensions in the body, the feeling of the materials in your hand, the whims of the sewing machine. I like improvising, but sometimes I get too afraid of whether or not I'll like the outcome, but often I just plunder on anyways! I did a little improv piecing on a fabric baby book and it was FUN- want to try more! Thanks- this book looks really fun! Gah- I forgot to include my contact info in my "anonymous" comment a minute ago!! Ssarah: crjandsbj(at)netzero(dot)com Sorry! I am one of those people who rarely do anything *by the book* and love to improvise to add my own twist. Whether it's in the sewing room, the kitchen, the garden, or my closet, I'm unique and love not following the rules! I do this on quilting. It's the way I started quilting and my favorite way.. It's more fun when you go by your own rules. I need to do this more with my scraps. It is liberating and just plain fun. I guess I wing it depending on the category and my hands on knowledge. I "wing it in my garden" and with a recipe I have some understanding of...sometimes. I have a better understanding of color and take greater risks with sewing. I find getting thru the "I am stuck" part leads to a quilt with a story and increased personal satisfaction. Thanks...I think we all need to "wing it " during parts of our day...it can be refreshing and a chance to grow. "Winging it" is important in life as it is in the creative process. I feel more at ease winging it when I have a knowledge of the basics involved. Beging able to improvise when knitting, sewing, or embroidering adds a new dimension and excitement to the project- especially when the results are pleasing. I am just learning the fundamentals of quilting but already see many possibilities to wing it. This book looks like just the ticket to advance that thought. I have made traditional quilts and done a bit of winging it as well. More and more I find myself drawn to the non-traditional and want my work to be more an expression of my own vision. I need to build my confidence with winging it. I need to trust myself and my vision. When I do allow myself to just play, that is when I feel like an artist. I've never done improv quilting. I've always followed a plan. Though, I do need to learn so I can finish my daughters quilt that was originally going to be toddler size and a quickly realized should be twin size! I'm a planner for most things. Cooking would probably be the area that I wing it the most. I'm definitely a planner, but I'm trying to be more brave and let go sometimes, in all areas of my life. This has never been more apparent to me than now, with one daughter heading off to college and the other in high school. With a background in engineering I tend to be detail oriented and precise. Sometimes it's fun to step out of my comfort zone though. Playing with fabric is fun and if I make something that isn't what I'd hoped I try to remember it's only fabric -- and I have more. I sing it in life as I am a full time RVer. I love your blog & lamb pictures! I'm usually one to follow a pattern with most of my crafts but when I work on jewelry (I design and make), I'm totally the opposite. I don't have a sketch, plan or even what materials I want to use in a design when I sit down to work. I open containers, my stones are strewn across my work surface and I get to work. It usually works (though there have been some notable exceptions :-)) and I never get bored! This is a fabulous giveaway and a great question Kristen, thank you as always! In theory I follow a plan, but in practice there are sometimes flights of fancy. I think this book might help me loosen up a little more! I have been quilting for about 20 years and am now experimenting with improv quilting, which has not been my thing. It's been really fun and exciting, although things don't always turn out great. It's like finding your niche all over again. Thanks for the chance to win. I have been improv piecing for more than 5 years. I sometimes come up with a design idea in my head, but then I start cutting and let it fly. I'm a planner but I would love to let go and try this technique. I am primarily a knitter and have recently attempted some quilting. I have always used patterns and recipes. But I like seeing the improv quilts and would like to try one someday. Typically, I'm a "by the book" kinda person when it comes to quilting, but working on a "Crazy Quilt", has kinda gotten me out of that rut, and I'm loving it! This book is really cool looking, and would be fun to peruse :-). Thank you for the giveaway! I really like the book and the way it was developed. I don't feel comfortable with improvisation with my quilting although I recently made a rug mug for a swap and designed my own block with free form flowers. I'm not a cook and really don't like to cook as I don't feel I know what to do unless every last detail is spelled out in the recipe. However, once I do cook I'll add something else to the recipe or toss in another spice. I'd love to win the book as I think it would help me stretch my mind. Thanks. I am totally a planner. I don't want to try something new in case I don't like it. Slowly, slowly, I have been trying to work into winging it. It's hard for me, but when I do it I'm finding I LOVE the results. Would love to try an improv quilt. I'm a quilter. I would love to do more improv and have been trying to learn how. I love the way it looks, but I'm not very good at just letting go, myself. I'm very good at following a pattern, knowing what's ahead, having a plan. But not so very good at just letting go, doing what seems right at the moment. I think I want to be sure that whatever I make will be of use in the end, so I want to be sure it will fit with something, that I will have enough fabric to make it large enough, or whatever. In other words, there are some fears holding me back - mostly fears that I'll end up wasting my time, I think. Which is really ridiculous, since I actually have plenty of time. I am trying to free up my design process-I cook like that & it is so fun and creative! But I can find myself freezing up in my design decisions with fiber and hope to free it up. Sounds like this book might help. Thank you! I I think this might be just what I need to make the kind of quilts I want to make. Thanks for the review. I will take inspiration wherever I can find it. And quilting and playing with fabrics is magical. I like to improvise, but within a framework. Don't know how to label that. I'll have to say that 'winging it' really isn't in my vocabulary as far as quilting goes. I find it takes a lot of time going through my scraps and auditioning fabrics. That being said, I'm open to trying to improvise. I'm trying very hard not to be so linear in my quilting. I need to be a little free-er! This book might help. Hi Kristin! I am getting more comfortable with improv all the time. I can do accuracy and precision but it really stresses me out. My machine is not that great and neither are my eyes. I feel so free just taking a pile of scraps and trying to make something out of them. The thing that appeals to me about this book is the loose guidelines. I want to make pretty things that don't look like a total hodgepodge and I think the scores would help. Thanks so much for hosting this! The improv quilts I've done before have been exercises in thrift. I love making a quilt from scraps other quilters freely toss in the trash. I am eager to learn more. winging it ... can't do it! I've tried and will continue to try, but it just hasn't worked well for me. I follow recipes exactly, make clothing that looks like the pattern pictures, copy card designs, etc. Sigh. HELLO,oh yes I'm a planner>old traditional quilt blocks are my thing! 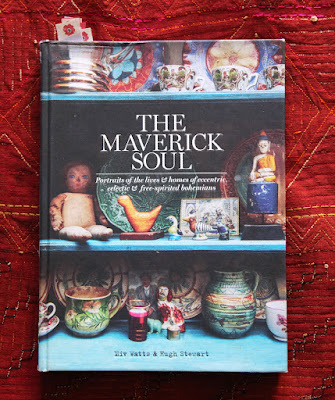 But this book looks so interesting>I'd like to try an "Improv Quilt"! Thank You for your Blog+the giveaway! I think I do both, plan and wing-it. Sometimes I follow a pattern and sometimes I do my own thing.